Managing Principal, F. Patrick Cunnane, MBA, CIMA®, AIFA®, leads a team of experienced financial advisors and associates serving business owners and individuals seeking unparalleled service coupled with objective financial guidance from a fiduciary perspective. Our dedicated advisors and retirement planning specialists consult with corporations of all sizes from medical groups to leading manufacturers. They are adept in analyzing each organizations’ retirement plan needs, researching and benchmarking plan providers, and recommending appropriate retirement plan strategies, including 401(k), profit-sharing, defined benefit plans, and SIMPLE and SEP IRAs. 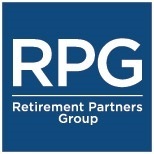 Mr. Cunnane is a member of the LPL Financial Retirement Partners Group (RPG). Retirement Partners Group advisors are among the 401(k) plan distribution leaders in terms of number of retirement plan advisors, plans, participants and assets under advisement. Plan sponsors can be assured that when they work with a member of Retirement Partners Group, their plan and its participants are receiving high quality services from one of the industry's esteemed advisors. As an advisor that has demonstrated significant experience with retirement plans, Mr. Cunnane is a member of the Retirement Partners Group (RPG), the premier network of LPL Financial retirement plan advisors. Only select advisors qualify for membership in this elite group based on specific criteria, including plan assets advised and retirement industry experience, designations, and references.